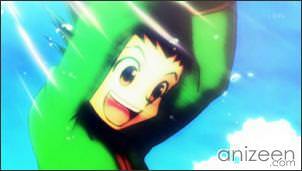 Gon is a lively kid that lives apart in Whale Island, because he lives in the wild, he has developed his senses and he is incredibly agile and strong. It’s been a week now, and Gon is trying to fish the Lord of the Lake, if he succeeds, Mito-san, who took care of him since his father, Ging, abandoned him in the island, will allow him to take the Hunter Exam this year. His father is a hunter and as a kid he was able to control the Lord of the Lake by himself. 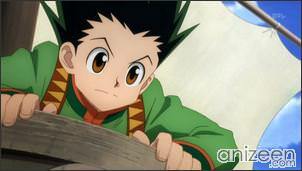 Gon is able to catch the old fish and now, Mito-san has to watch him depart home in order to take the Hunter Exam. Mito-san tries to talk to Gon about the Hunter Exam, she wants to understand why he wants to be a hunter just as the father he never had. Gon has a simple mind, he thinks his father must be an amazing person and he wants to understand what makes a hunter leave everything, including a family behind. 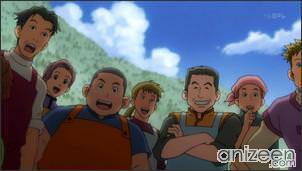 In the end, Mito-san thinks that Gon is Ging’s son and that they are much alike. Every year, hundreds of persons apply to take the Hunter Exam, but just a few are able to become a certified hunter. No matter what happens, you can try once and again to become a hunter, of course, if you are able to survive the whole test. 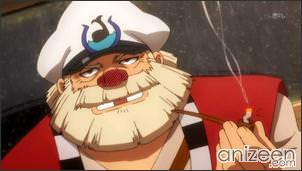 Right away, Gon boards a ship and finds himself surrounded by interesting participants from other lands which sets sail for the exam venue. 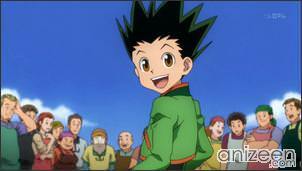 After Gon predicts a violent storm approaching, the captain manages to steer the ship through the storm. 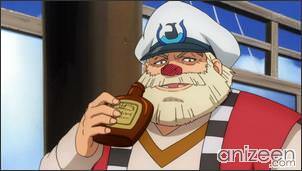 There, the captain reveals that he is part of the Hunter examiners and that the exam has already begun. 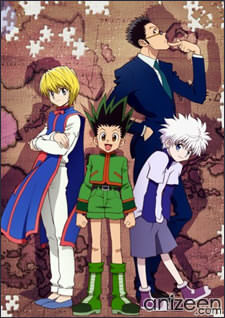 Gon, Kurapika, the last survivor of the Kurta Clan, who wishes to hunt down the band of criminals who massacred his clan, and Leorio, who claims to be a hunter just for money. Kurapika and Leorio have a dispute where they step out to the deck and fight, but are interrupted when Gon goes to save a crew member who has fallen out of the ship. 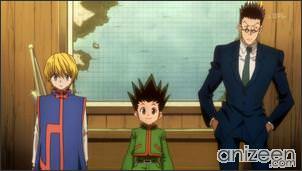 Gon, Kurapika and Leorio help to save the crew, earning the captain’s approval, who sends the three to the nearest port closest to the exam site. 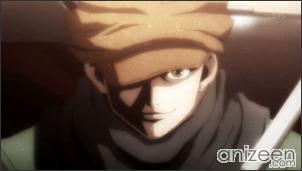 Gon Freecss has decided to search for Ging and to take the Hunter Exam. He wants to become a Hunter in order to understand the reason behind why his father chose the profession over being with him. He is naturally talented in a variety of ways, including superhuman senses, uncanny learning potential, social skills, and immense strength. However, Gon is simultaneously prone to influence by things he finds intriguing regardless of their inherent ethics. His recklessness often leads him into getting into situations harmful to himself. Kurapika is the sole survivor of the Kurta clan, a race with treasured irises that turn scarlet in times of anger or emotional agitation. 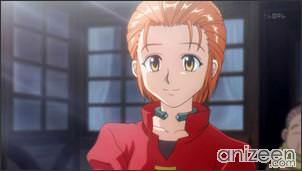 In his childhood, the entire Kurta clan was eradicated by a band of thieves known as the Phantom Troupe. The Troupe desecrates the bodies of his race by stealing their scarlet eyes following the genocide, thereafter selling them on the black market. 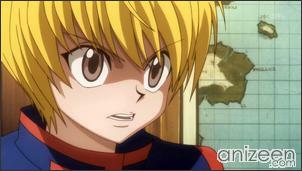 Kurapika participates in the Hunter Exam alongside Gon in order to become a blacklist Hunter and gain the power to take vengeance for his race. 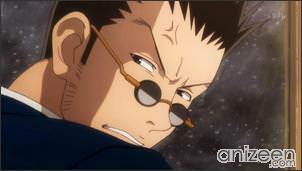 Leorio is a guy that befriends Gon during the Hunter Exam. After losing a friend to a curable illness that he could not afford the treatment of, Leorio says he wants money, but he dedicates himself to becoming a Hunter in order to pay for the costs of medical school. Though he is often outshone by the genius combat abilities of Gon and Killua, it should be noted that compared to the average man, Leorio is indeed very talented. 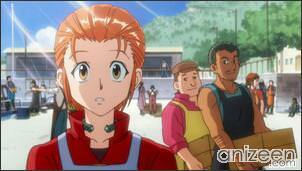 Hunter × Hunter (ハンター×ハンター), is a Japanese manga series written and illustrated by Yoshihiro Togashi.